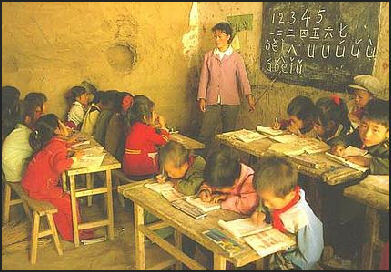 School in a cave in the Shaanxi Loess Region China has the world's most primary schools (861,878 in 1993). India has the most secondary schools (241,129 in 1994). Elementary and secondary educational institutions have significantly raised literacy rates and attendance, but schools are hamstrung by financing problems. Average years of school for people 25 years and older: 3.6 years for females; 6 years for males (Compared to 1.2 years for females and 3.5 years for males in India; and 12.4 years for females and 12.2 years for males in the United States. 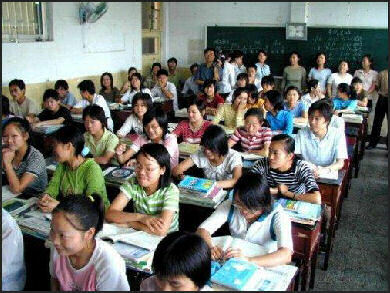 According to the World Bank 93 percent of Chinese males complete the 5th grade. A law passed in the 1980s states that every child has the right to nine years in school. Compulsory education ends after the ninth grade. Most kids leave school at that time and before that and look for work or help their family doing agricultural work. According to government statistics, 95 percent of all children start school but the drop out rate is high. Only 80 percent graduate from elementary school. In poor rural areas the enrollment is only about 60 percent, with only 70 percent completing the first four years of primary school. Fewer than 35 percent of China's youth enter high school, and of these the drop out rate is high. The schools in the cities are often better than the ones in the countryside. They have an easier time getting government money, teachers and books. The children generally come from families that are better off than there rural counterparts, and money they pay for school expenses helps make the schools better. Schools in major cities typically produce students with strong math and science skills. Rural schools often lack sufficient money, and dropout rates can be high. Senior Year (2005), a film by Zhao Hao, is an in-depth examination of how a class of teenagers prepares for the national college entrance exams in China. When it comes to anxiety about how the U.S compares with other nations, there’s always plenty to go around. But for a real wake-up call, nothing can compare to Zhou Hao’s Senior Year, an in-depth examination of how a class of teenagers prepares for the national college entrance exams that will determine their destinies. Faced with mountains of memorization and rigid behavioral standards, most buckle down, but some rebel and some simply crumble under the pressure. Zhou brings tenderness, humor, and quiet outrage to this rare, behind-the-scenes look at China’s educational system. Parents generally have to pay fees for books and uniforms, which are required at most schools. Often they also have to pay for things like electricity, paper, snacks and even report cards. In Beijing, parents have to dish out $20 or more a month for kindergarten. Often the fees add up to several hundred dollars a year. Many rural families can't afford these fees nor can they afford to lose the help of their children in the fields. Secondary students have to pay a long list of fees, including those for tuition, dormitory rooms, textbooks, and computer access. The fees often are between $200 and $300 a year and are often more than what rural farmers make in a year. Students whose families are behind on their payments are often scolded by their teachers in front of the other students in class. Teachers in turn are pressured by administrators to collect. Those that don’t collect have money docked from their salary. Rural families often make great sacrifices to send their children to school. The children in turn feel a lot of pressure to perform well, get good jobs and provide for the parents and relatives that made so many sacrifices. Chinese families spend more on education than anything else except housing. Education is a huge growth industry. Between 2002 and 2005 the market for courses, books and materials more than doubled to $90 billion. Elite elementary schools in Shanghai cost $1,200 a year and accept only 20 percent of applicants. Universities have become overcrowded because many more parents can afford to send their children to secondary school. In the old days schools were part of temples and family shrines. In family shrines, the front hall served as a classroom, the rear of the ceremonial hall and the wings on both sides were dormitories. These traditional Chinese academies were the forerunners today's schools. The provided a place of learning and a place of worship. 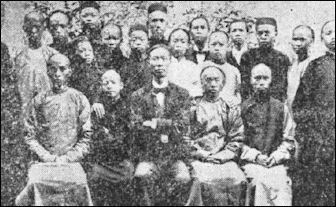 Teachers and students lived together in the academy. Education emphasized character development as well as the acquisition of knowledge. The teacher holds a high position in Confucian traditions. Students are expected to obediently follow their teachers and not question or challenge their authority or knowledge. In the classic Confucian education, students memorized moral precepts in the belief that the precepts would rub off on them. The Communist didn’t like Confucius. They categorized him as a class enemy. The goal of Communist education policy was to teach the illiterate masses how or read and write, and channel talented young people into science and technology. Recalling school during the Mao era, one man told National Geographic, "In school, mostly we studied about how to farm and be factory workers." In the 1970s, students spent part of each year working in the countryside or on a commune. When the finished middle school they went to a commune or factory to work for two years. After some time the community decided whether the student should go to college or university. 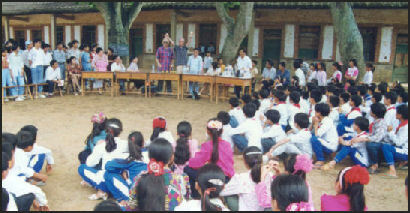 These days elementary school students are taught the importance of achieving a per capita GNP of a developed country by 2050 and told: "We must achieve the goal of modern socialist construction...We must oppose the freedom of the capitalist class, and we must be vigilant against the conspiracy to make a peaceful evolution towards imperialism." Students in many places are required to carry a card with eight "Student regulations." The first three are: "1) Ardently love the Motherland, support the Chinese Communist Party's leadership, be resolved to serve Socialism's undertaking and serve the people. 2) Diligently study Marxism-Leninism and Mao Zedong Thought progressively establish a Proletariat class viewpoint, authenticate a viewpoint of Historical Materialism. 3) Diligently study, work, hard to master basic theory, career knowledge, and basic technical ability." A typical rural school is a dirty, whitewashed building made of mud brick and cement. In the classrooms there is no heat or electricity. Light comes from two small windows. There are generally few academic and athletic facilities other than a chalkboard, maybe some desks and chairs and courtyard where children play rough games. Schools are considered well equipped if they have a dirt soccer field. Describing the classroom for kindergarten class in a small town school, Peter Hessler wrote in The New Yorker, “The classroom was dirty, and there was a hole in the ceiling. The blackboard was chipped and scarred, Twenty children sat at their desks; each of them playing with a pile of Lego-like bricks. There were only three girls.” There was no bathroom. Children relived themselves through the schoolyard fence. Children from a wide range of ages and abilities often attend the same class. Bright students are often selected by the family to go to school while slow learners have to stay home and help with chores around the house. In rural areas, many children have to walk several miles to their schools. In villages that have lost their schools due to declining populations as adults have left to find jobs, kids begin boarding at away schools when they are in the first grade and come home only for weekends. In some villages about only one kid every ten years makes it to college. Students must memorize vast amounts of information to pass major tests, with the biggest determining factor in who attends elite universities and who does not being the gaokao , China’s grueling, ultra-competitive university entrance exam. Chinese spend much of their childhood memorizing and writing characters. By the time a student is 15 he or she has spent four or five hours a day over nine years learning to write a minimum of 3,000 characters. There is a strong emphasis on studying and academics over sports. In many school less than two hours a week is devoted to sports. A Stanford University math professor who studied the math curricula in East Asia told the Los Angeles Times. “There is a very small body of factual mathematics that students need to learn but they need to learn it really, rally well. 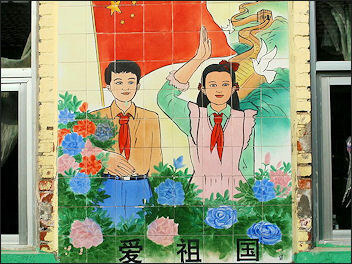 Official patriotic classes for children was introduced in 1994 to support one party rule but had been around in one form or another since the Communist take over of China. 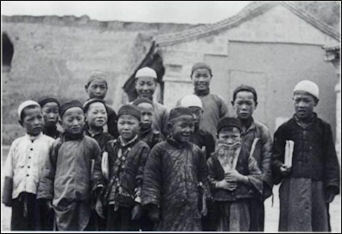 In school, children are taught beginning at an early age that the party rescued China in 1949 from poverty, chaos and humiliation and saved Tibet from feudalism and backwardness. History classes emphasize the humiliation that China endured ay the hands of Europeans after the Opium Wars and the Japanese before and during World War II but have little or nothing to say about the Cultural Revolution or Tiananmen Square. Confucian and Taoism are taught in school. But the more he read, he came to realize that what he had been taught might largely be untrue. More importantly, he had never been trained to think independently. He decided to teach and influence young students at middle school and thus returned Sichuan after graduation. As an educator, Fan regularly ignored history textbooks and introduced Chinese and Western philosophers and ideologists to broaden the vision of his students. He lost his first teaching job after some parents complained to the school board. Then he worked in schools and media in Shenzhen, Guangzhou, Chongqing, Beijing, Hangzhou and Chengdu, each for less than three years. 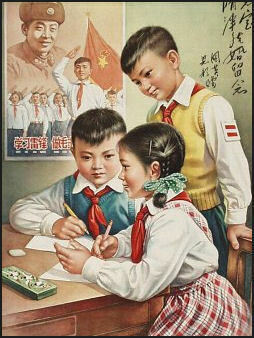 Students inspired by Lei Feng As it is spelled out in Article 3 of the national education law, classes in Marxist philosophy are compulsory in Chinese schools. From kindergarten to high school students are required to take two classes a week in ideological education. In college they must take two more courses. The article states “In developing socialist educational undertakings the state shall uphold Marxism-Leninist, Mao Zedong thought and the theories of constructing socialism with Chinese characteristics as directions and with the basic principles of the Constitution." The “political education” that students receive includes the history of the Communist Party, and its victories over cruel landlords, Imperial powers and Chang Kai-shek. Atheism has also traditionally been part of the curriculum. 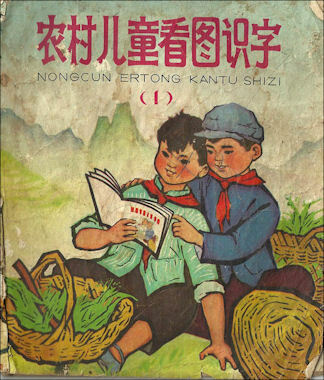 Cultural Revolution BookMany link China’s strong sense of nationalism to what kids are taught in schools. After Tiananmen Square, Deng Xiaoping declared in a speech to China’s military leaders that the cause of the unrest was the result of political education being ignored. After that new textbooks were created that emphasized China’s cultural achievements side by side with the humiliations experienced by China at the hands of foreigners, often in lurid detail, aimed at bolstering feeling of nationalism inflaming feeling against foreigners. The curriculum is patriotic and is designed to serve the needs of the ruling regime more than it is to educate students. The Chinese government has been very critical of the Japanese government for whitewashing it militaristic activities in World War II and the occupation of China in their school textbooks. But Chinese textbooks also leave a lot out. They mention the Great Leap Forward and the Cultural Revolution but not the atrocities and of death associated with them. There is nothing about Tiananmen Square but there is plenty about Japanese atrocities. Patriotic education also spills into television, film and the news media. In many ways its message and getting ahead economically have replaced Marxist-Leninism as the guiding ideologies of China as Communist ideology has become dated and irrelevant to what is happening on the ground in China. In December 2008, the government announced that beginning in primary school students would study “ethnic unity.” The move was response to unrest in Tibet and Xinjiang the previous months. A pilot program was started to the mid 2000s, using Chinese translations of American earth science and life science textbooks in 10 elementary schools. English is big business in China More than 200 million copies of the New Concept English series of school textbooks have been printed. The largest English school company, New Oriental, is traded on the New York Stock Exchange. In kindergarten kids learn their ABCs and a few simple greetings. In primary schools they focus on reading, reciting and writing the 26 letters. Many parents send their kids to out-of school English classes and often orient them towards passing Public English Test (PETs), which are divided into six levels with Level Six being the highest. Passage of a Level 2 test is often required for admission to a good middle school. The emphasis in the system is on reading and writing and students end up “mute”---unable to speak or listen very well. 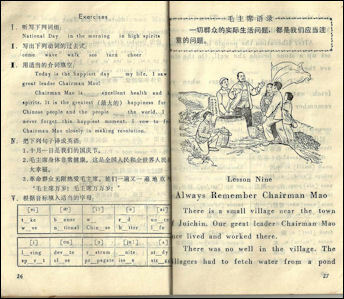 Many Chinese in their 30s have fond memories of studying English using a textbooks that focused on the lives of a boy named Li Lei and a girl named Han Meimei. Found in high school books used between 1993 and 2000, Li and Han are now featured on T-shirts, schoolbags and stationary sold at bookstores. The textbooks are also associated with a period in which Chinese began to take the study of English more seriously. The number of English words high school graduates are expected to know has increased from 1,800 in the 1980s, to 2,000 on the 1990s to 2,500 to 3,300 in 2008. By 2010 they are expected to know 3,300 to 4,000 English words. Scores in China on the standardized TOEFL exam were an average of 543 in 2000. Scores in Japan and South Korea, respectively, were 501 and 535. The struggle to get into the best universities has led to a struggle to get into the best high schools---the schools that get their students into top university or produce students that score well on the university entrance exam. Some of the best high schools are ones associated with top universities. Students that get into these are also pretty much assured of getting into the affiliated universities as well. “Keypoint” middle schools are relatively well-financed and receive the best students. Admission is often based on an entrance exam taken in the last year of elementary school. In recent years the middle school entrance exam has been officially abolished. In Shanghai there is a lottery system that spreads the best students around to different schools. Some bright students like the ordinary middle schools because they are not so competitive and time consuming and leave the students time to think for themselves and have free time. Middle school class Middle schools and high schools are often located in towns far away from villages. Students from rural areas that want to attend them have to move from their family homes, live in dormitory and visit their families only on the weekends or Sundays. Often they have few friends in their hometowns and their parents treat them like little kids. For the most part their social life is focused around their school. To avoid breaking up their families, the goal of many village parents is to earn enough money or get a new job so they move to a large town or city where there children can receive a secondary education. 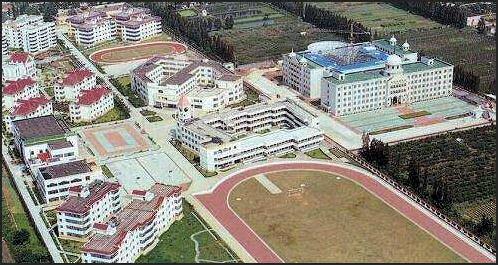 The dormitories in secondary schools are often packed. In rural Gansu 18 junior high schools girls share a single dormitory room, sleeping shoulder to shoulder like sardines. migrant workers school There are about 20 million migrant children living in Chinese cities. Many of them attend migrant schools that have often been set up by the migrant workers themselves. These schools tend to be basic but are often manned by committed, decent quality teachers. Generally they have lower fees than public schools. Some even have school buses. As of 2005, there were 293 migrant schools in Shanghai. As of 2007 there were about 200 migrant schools in Beijing with 90,000 children. The first school for migrants to win government approval in Beijing was opened in 1993 by a teacher from a rural school who was shocked to find that many children of migrant workers were basically illiterate because their parents were too busy to help them and because they lacked residency status necessary to attend local schools. Parents are willing to spend big money to send their children to private schools with good facilities and small teacher to student ratios. 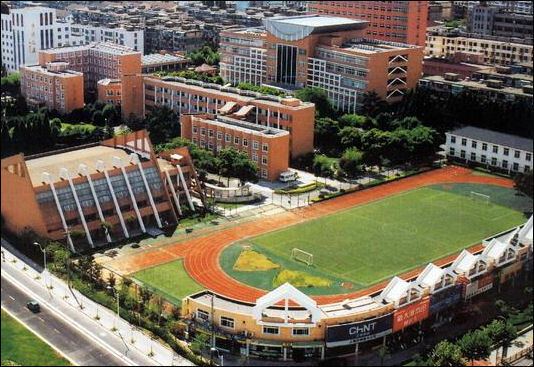 Private boarding schools like the Guangzhou Country Garden School in Canton charge a one-time tuition payment of $40,000 which is invested by the school and supposed to be returned to parents after graduation. The schools have classes for students of all ages, even preschoolers. As China becomes wealthier more and more parents are sending their children abroad to secondary schools, which is often a more expensive endeavor than sending their kids abroad to university. A surprising number of parents shell out the $25,000 in fees to enter British boarding schools. Many are also going to schools in Australia, New Zealand and Canada, where the fees are somewhat lower. In some cases children of corrupt officials are sent abroad to help the officials launder their ill-gotten gains. More than a thousand Chinese students attend Britain’s top boarding schools. Most arrive at A levels with the aim of getting admitted to one of Britain’s top universities.